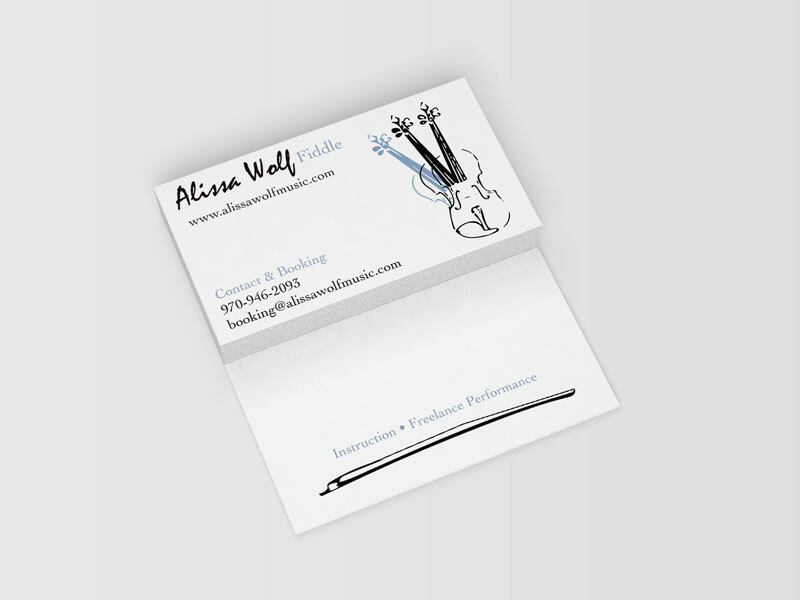 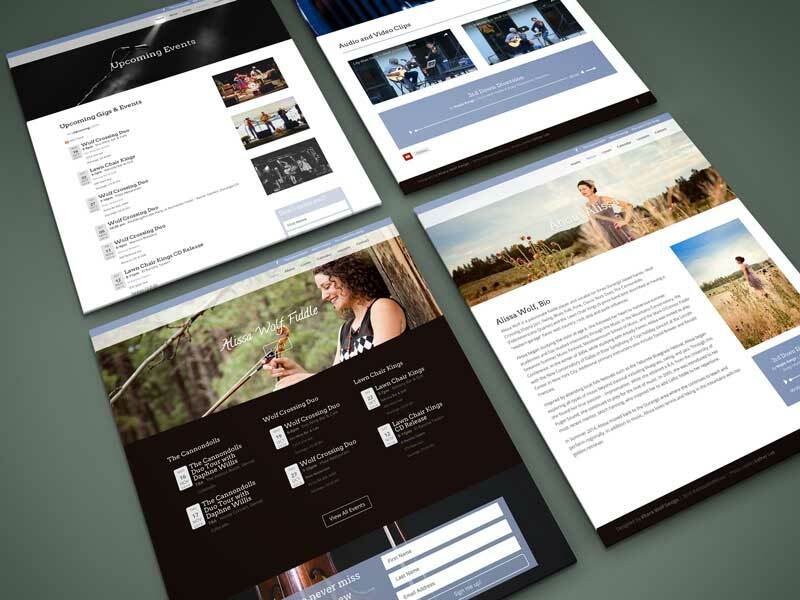 Alissa needed a website, logo, and brand identity to promote herself as professional musician. 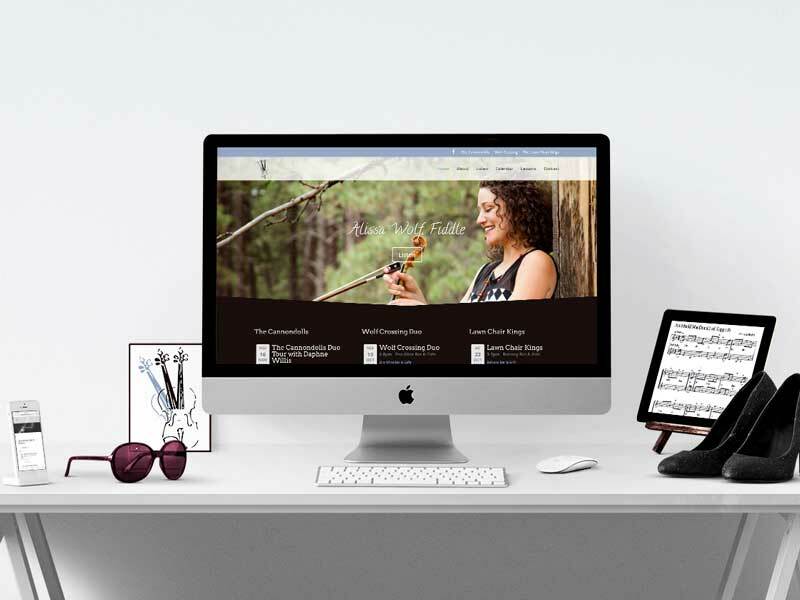 Her website needed features such as a full event calendar that she could update herself, and a page for videos. 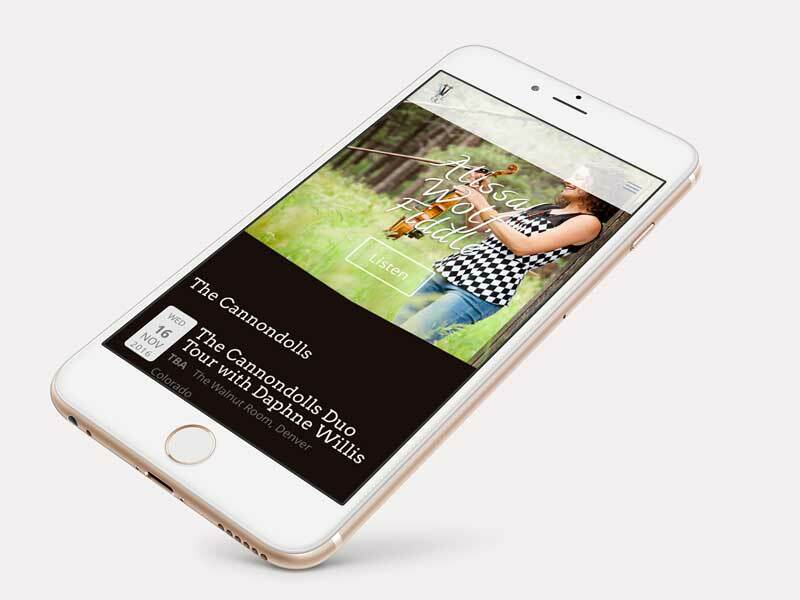 The logo was conceptualized as a multi-color fiddle to show her wide range of styles, including bluegrass, jazz, and classical.